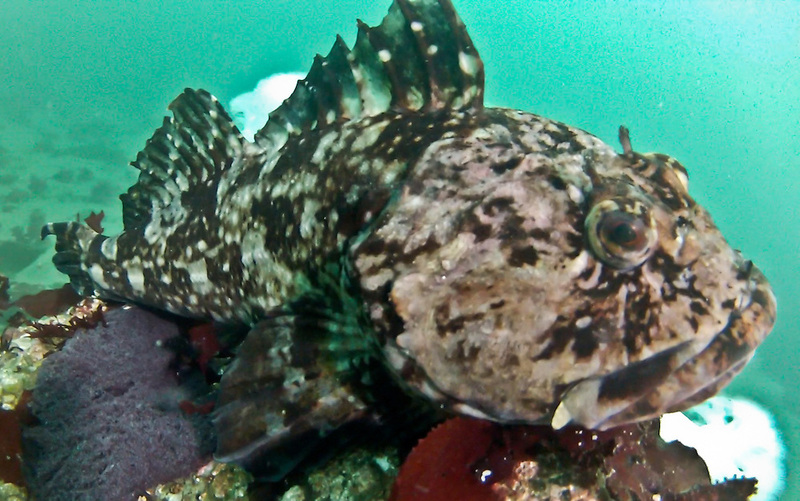 A big male Cabezon (Scorpaenichthys marmoratus) guards his nest of roughly 50,000 eggs, in Edmonds Underwater Park, Washington. These big fish are known to be very easily agitated while guarding a nest, and often bite or head-but divers that get too close. Photo by William Drumm.